Septic Tank Pumping almost Never Fixes the Main Problem. One VERY important thing to remember about a Septic System is that it consists of more than just the tank. Attached to your tank is some sort of drainage area.. sometimes called a leach field, or drain field. What happens is that bacteria in the septic tank digests the sludge and solid matter and turns it into liquid. This liquid then flows to the drainage area, and seeps gradually through holes out into the soil, where it finally just goes away. Septic tank pumping ONLY removes matter from the tank. It does NOTHING to the drainage area, which makes up about 50% of your septic system. So really, pumping out the septic tank is at best, only a 50% solution. The PRIMARY area where this system goes wrong is out in the drainage area. If your septic tank doesn’t have enough bacteria in it, the solid matter is not liquified before heading out to the drainage area. When that happens, it clogs up the drainage area. This, in turn, causes the backup to creep back to the tank, and often right back up to your toilets, drains, sinks and tubs. When that happens, it’s usually considered a total septic system failure. 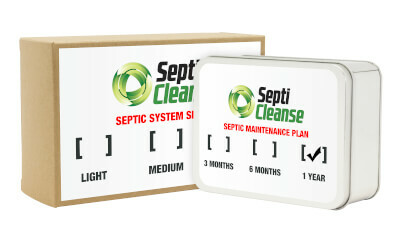 To FULLY solve the issue of a failing septic system, in a way that septic tank pumping can NOT do, is to treat the septic system with specially engineered bacteria to rapidly liquify the solid matter in your septic tank AND drainage area, thus allowing it to return to a system where liquid can flow freely out into the drainage area, and into your soil. This is the ONLY real way to rescue a septic system that is failing. If you pump your septic tank, but do NOT address the bacteria issue, you will just end up having to pump it out over and over on a continual basis. This can be costly and frustrating. How did my bacteria get so Low in my septic system? Good question. The answer lies in the things that go down your drains, tubs and toilets, and also your laundry machines. Products like bleach, anti-bacterial soaps, cleaners, and shampoos are usually the cause of this. Every time you introduce a product down the drain or toilet that kills bacteria or germs, you are KILLING the bacteria that is VITAL to your septic system. This doesn’t mean that you have to stop using all these products. It just means that you need to replace the bacteria in your septic tank and system from time to time. Think of it as a Probiotic for your septic system. That is where our product, SEPTICLEANSE, comes in. This is an INDUSTRIAL strength bacterial treatment that is formulated into granules and packaged into water-soluble plastic packets. You can flush these packets down the toilet and introduce billions of bacteria into your system that multiply by 400% right away. This bacteria will start liquifying the matter in your pipes, septic tank and drain field… even in the soil immediately surround the drain field. By doing this, the septic system can return to performing at optimal levels. If you use some of our monthly maintenance packs, which are also just a flushable packet, you can keep your system running smoothly, even as you continue to use antibacterial soaps and bleaches. Go See Why Septic Tanks Fail and get some more information. Also, you can check out the page, What Septicleanse Package Do I Need that will lead you to the package that suits your problem best. You will find that it’s no longer necessary to pump out your system all the time, and the cost will be considerably lower. Your septic system, and your wallet will thank you for it. Septic Systems are used by roughly 25% of Americans, however the systems are most commonly used in rural areas. Despite the large number of systems out there, there is far too little trustworthy information about septic systems out there for homeowners to read. Neighbors and community members often exchange tricks and insight that may have worked for them in the past, however that advice is neither based upon science or a full understanding of how septic systems work. Here are some of the more common myths. While not a complete list, we did our best to cover the most common mistakes that homeowners make when maintaining their septic system. Myth – My septic system is designed to last forever. Truth – While many septic systems have been known to operate for 50 years or more, there are countless others that have failed within a year. The average for a septic system to continue performing is roughly 20-30 years. With increasing knowledge and understanding of system sizing and design importance, new septic systems should be able to last even longer. The main characteristic for long lasting systems is that the owners of the system take the time to do proper maintenance and upkeep. Myth – Pumping my tank will take care of the current problems. Truth – A few problems can be corrected by pumping and cleaning the tank. Clogged tanks due to soap crystals or greases and fats can be corrected. Most problems, however, are caused by saturation of the drain field. This plugging or blocking of the soil is not going to be corrected by pumping out the system. A proper evaluation of the system is necessary to determine the extent of the damage and to decide which option is the best next step for your system. Pumping is a tremendous asset to maintaining your systems performance and preventing a problem, it seldom does the trick however when you are looking to fix a problem. Myth – If I call the health department to ask questions they will target my property and force an expensive system install. Truth – In most instances, the health department is there to help prevent health hazards. Recognizing that you have a problem and being aware of the proper next steps to take is an important part of that process. While each health department may function differently, they are a resource that can be utilized to help you take the proper course of action for your particular situation. 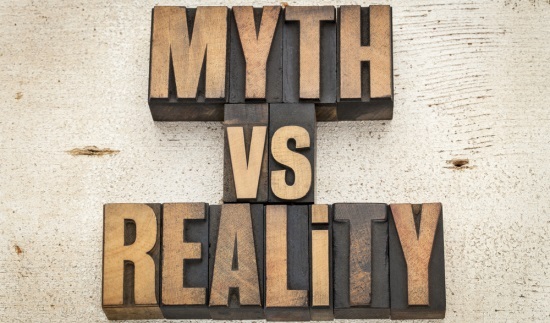 Myth – My septic contractor said the drain field is failed, so it must be failed. 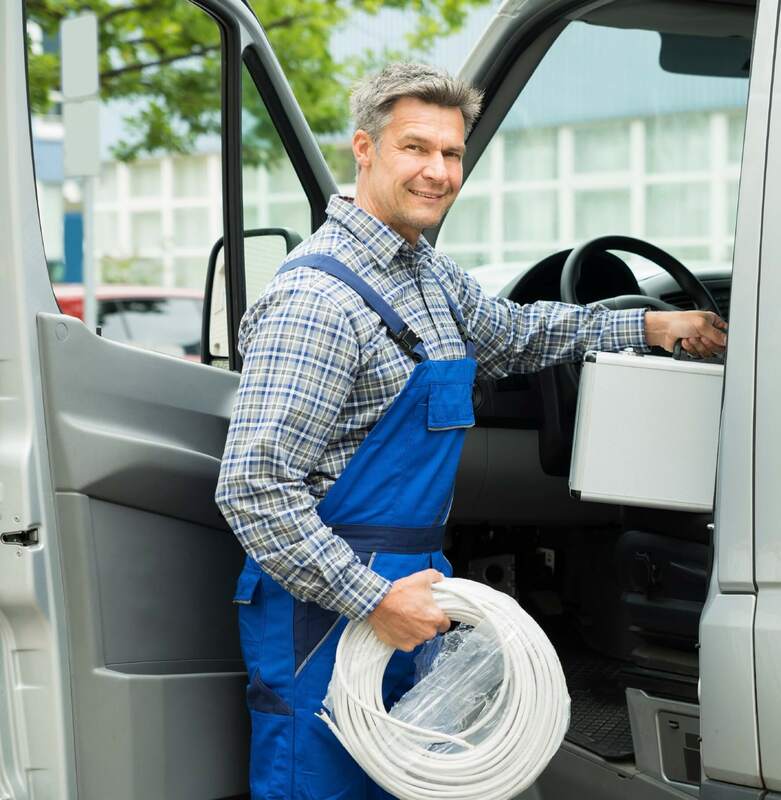 Truth – While most septic contractors are honest and tell the truth about the condition of the system, they are directly compensated by any repairs you may ‘need’ to have done. This puts their advice in a conflict of interest with yours. While your septic system may absolutely need some repairs, it is best to do some homework yourself before you fork over your hard earned money to replace the system. Myth – The best way to maintain your septic system is to follow the ‘if it ain’t broke, don’t fix it’ motto. Truth – Many homeowners forget about their septic system that serves their home. Most only think about it when experiencing a problem with the system. Maintaining your septic system is a necessary part of homeownership. You wouldn’t own and drive a car without at least periodically changing the oil. The same is true here, you have to give the system some love in order for it to last, otherwise you will spend considerably more money on repairs or replacement. Myth: My septic tank has never failed. Truth: Most septic system failure occurs in the drain field and not the tank. The septic tank is just a tank or reservoir that holds 4 or 5 days worth of daily water use. The real purpose of the tank is to have the solid waste settle out of the liquid so that only the liquid goes to the drain field. When solid particles make their way into the drain field, it causes failure. Pumping the tank is required in order to prevent that, it is not a step that you wait for problems before doing. While there are countless other septic system myths, these are the most common that we hear. An important part of owning a home with a septic system is to understand the system and how to properly maintain it. Problems can be very costly to repair so it is always better to take steps to prevent problems before they arise. If you are experiencing a problem, do your own homework first, then seek out any assistance you may need once you have a good understanding. It may come as a surprise to many homeowners, but the amount of bacteria that your septic tank has directly impacts the overall performance of your septic system. In fact, if you are experiencing septic system problems, back ups, foul odor or gurgling sounds it is caused by a reduction in the levels of bacteria within your system. In this article we take a closer look at Septic Systems and discuss why Bacteria levels are so important to the process. Furthermore, we examine which household products homeowners likely use that may be causing irreparable damage. The word Septic is defined as being ‘infected with bacteria.’ Therefore a septic system is designed to use naturally occurring bacteria and enzymes to help breakdown the solid waste, greases, fats, detergents and soaps that are deposited into the septic tank daily. The bacteria in your septic tank feeds upon this organic matter and digests it. The digestive process results in the solids being liquefied within the septic tank. Once liquefied, the gray water leaves the septic tank into the drain field where it drains through tiny perforations in the pipes and is returned to the soil. 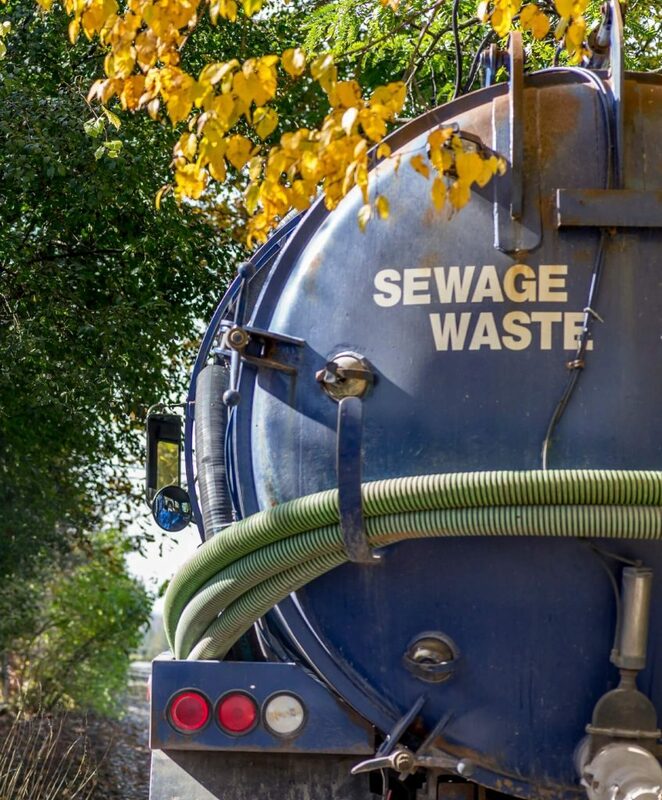 It is actually a pretty impressive process when you stop and think about it, but what happens if their is not enough naturally occurring bacteria in the septic tank to break down the solid waste? If the bacteria levels in a septic system drop, the solid waste cannot be liquefied. The sediment piles up in the tank until it reaches a critical level and begins to affect the drain field of the system. This pile up of solid waste may cause a foul odor and even back ups in the house. While both of these are extremely unpleasant, the most costly damage is done when these particles of waste leave the septic tank and enter the drain field. As you can imagine, the liquid that leaves your septic tank is not exactly clear. You would not want to drink the water as it is, it is filled with particles of waste. As these particles travel through the drain line and out through the perforations they are collected. The sides of the drain lines and the perforations themselves commonly accumulate these particles and over time, they build up and can restrict the drainage of your system. Even more troubling for your system is the fact the soil acts like a natural filter as the water drains into it. This means ALL of the particles that leave your septic tank are collected within the first few inches of soil surrounding the drain lines. This collection of organic material is called Bio Mat. This bio mat acts like a wet sponge, once saturated it can prevent your drain field from draining. This is where the serious problems occur. Because the system cannot drain, gray water back fills into the tank and home or it surfaces in the form of flooding yard. The repairs can cost thousands of dollars to homeowners. At the time of their inception, septic systems were designed to use only naturally occurring bacteria to process the solid waste. This worked fine in the old days, but as the household water consumption has changed over the years, so have the products we use in our homes. The combination of the two can lead to these serious septic system problems if you are not careful. Most homeowners take the time to clean their home. Research has shown that a cleaner home can prevent the spread of germs and sickness. Homeowners disinfect the counters, floors and bathrooms regularly, especially if there are children in the home. Regular laundry loads drop massive amounts of bacteria killing detergents into your septic system. Even the hand soaps we use are anti bacterial now a days. The point being that most of the household cleaning products we use sanitize and kill germs. The very same germs that your Septic System relies upon to process the solid waste and paper in your septic tank. Each day, our normal household activities kill bacteria and lower the overall bacteria levels. If nothing is done to increase the bacteria levels or reduce the amount of bacteria killing products used then the septic system will ultimately fail. 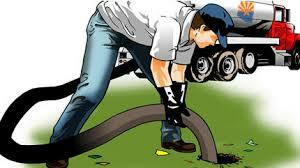 There are a number of things that can be done as regular septic maintenance for your system. Many homeowners pump their septic tank out regularly. Regular pumping is a good way to keep the amount of sediment in your septic tank down. Theoretically, the less solid waste build up in your septic tank, the lower the chances of it spreading to the drain field and causing massive headaches. Keep in mind, however, that each time the septic tank is pumped out, so is the naturally occurring bacteria in the tank so pumping too often can also lead to problems. By reducing the anti bacterial products you use in the home, you can reduce some of the bacteria kill off. Not using bleach in the laundry helps, of course, as would restricting or limiting the use of any anti bacterial cleaners. Moderation is the key here. It is OK to keep your home clean and germ free, but think about the quantity you use or how often these products are used. Lastly, there are bacteria additives that can be used in your septic system. 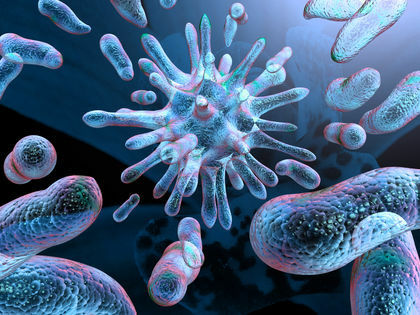 By supplementing bacteria into your septic tank on a regular basis, you can effectively maintain the bacteria levels within your system and avoid the potential problems we have discussed. There are even some bacteria additives strong enough to help reverse the damage already done. The most effective way to maintain proper septic system maintenance and bacteria levels is to practice each of these three things. Make sure you have your septic system pumped regularly, but not too often. Many counties may regulate the frequency of pumping, but in general, every 3 years is good. Reduce the amount of bleach or detergents you use. The household cleaners we use have a cumulative affect on your system, so take inventory of the products that kill germs and take steps to reduce the volume and frequency of their use. Lastly, find a septic additive that delivers a concentrated dose of bacteria to the system for you each month. By following these steps you can properly maintain bacteria levels and keep your system performing well for years to come. A septic tank an essential part of the septic system. 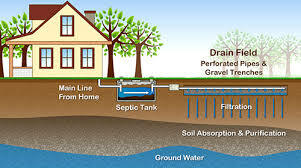 A septic tank is for small scale sewage treatment; they are common in areas that are not connected to the main sewage line. They are mainly controlled and operated by local governments, though they are sometimes privately owned and maintained as well. Close to 25 percent of the North American population relies on septic tanks. 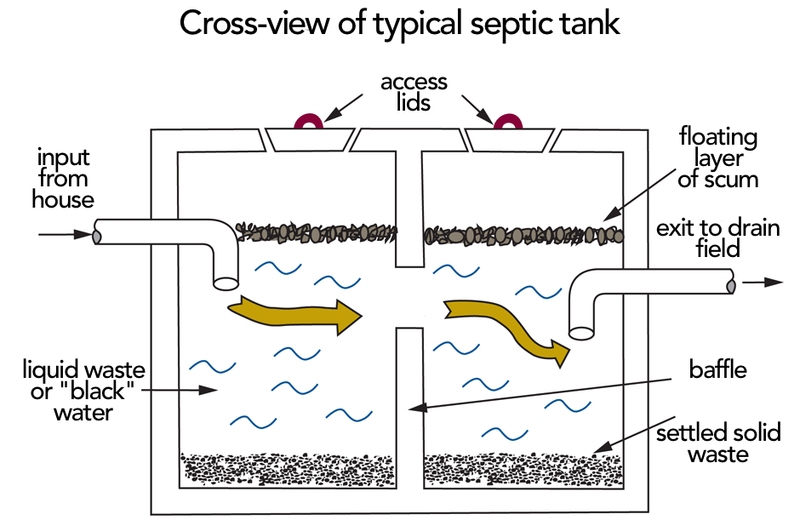 In North America septic tanks can be used in cities, small towns, and rural areas. However in other areas of the world, such as Europe, septic tanks are not suitable in cities, so they are primarily used in rural areas. The Septic Tank is Step 1 of the process. After liquid leaves the septic tank it goes to the Drain Field. Solid waste from the septic tank must eventually be liquified by the bacteria in the tank, otherwise the system will discharge these solid materials into the drainage system. This would have negative effects on the environment, and may clog piping systems, which may result in expensive repairs. When a septic tank is emptied the solid waste is removed by a vacuum truck. The size and amount of waste in a septic system are the determining factors in how often the tank must be emptied. A properly maintained septic tank will not require emptying, as bacteria eats the solid waste, rendering it in liquid form, which is then safely and efficiently dispersed through the drainage area into the soil. The Drain Field is how the liquid waste is dispersed safely into the soil. This is the Second and Final Step of the process. Like all sewage systems, septic tanks require maintenance. The maintenance is usually the responsibility of the resident or property owner. However certain actions may result in an increased need for maintenance. Disposing of cooking grease or other types of oil and grease may cause blockage throughout the system and may be difficult and costly to repair. Also the disposal of cigarette butts, cotton swabs, and sanitary napkins may also result in a clogged system. Certain chemicals may also cause the septic system to need repairs or require more effort for septic tank maintenance. Some chemicals or pesticides may kill important bacteria needed in order for the septic system to operate properly. Other factors may include tree roots or branches rupturing or blocking the system, excessive water emptying the system, excessive rainfall, and the development of biofilms that form after long periods of time. Septic tank additives can be used in order to help reduce septic tank built up and reduce odors. Primarily, if a septic tank is failing, it is because of a lack of bacteria in the tank. There are, luckily, bacterial additives that can be administered to the tank, which can restore bacterial levels, and therefore, the functionality of the septic tank. There are varying types of bacteria that can be added to your septic system. In general, if proper bacterial levels are constant in a septic tank, the need for pumping and maintenance can be avoided. As a result, it is common to administer a bacterial additive monthly, as a preventative maintenance procedure. A septic tank that is properly maintained poses no real environmental risks or concerns. However when septic tanks are not properly maintained, the risk of groundwater pollution and surface water pollution can become an issue. “Septic Systems.” National Environmental Services Center. N.p., n.d. Web. 9 March 2016. <http://www.nesc.wvu.edu/subpages/septic_defined.cfm>. Tilley, Elizabeth. Compendium of Sanitation Systems and Technologies. Dübendorf: Swiss Federal Institute of Aquatic Science and Technology (Eawag), 2014. Print.